As many of you will know, I try my best to maintain my interest in fitness. Notice how I said ‘try my best’?… I guess that’s because especially over the past two months, I have shamefully let it drop. Everything has been so manic as of late that fitting in time to slot in the gym has been virtually impossible. And lets face it – it’s December – I’m going to be far more concerned with how may mince pies I can wash down with mulled wine, and how long I can spend cuddled up in my onesie on the sofa watching Love Actually and The Holiday back to back than upping my gym game this month. In January (typical new year saying…) I will definitely be back, hitting it hard once again. Luckily due to being quote active in general and aware of health and fitness, I’m not in too bad shape at the moment, but I have recently been relying on a fantastic range of skincare to support this whilst I am giving myself ‘annual leave’ from the gym. 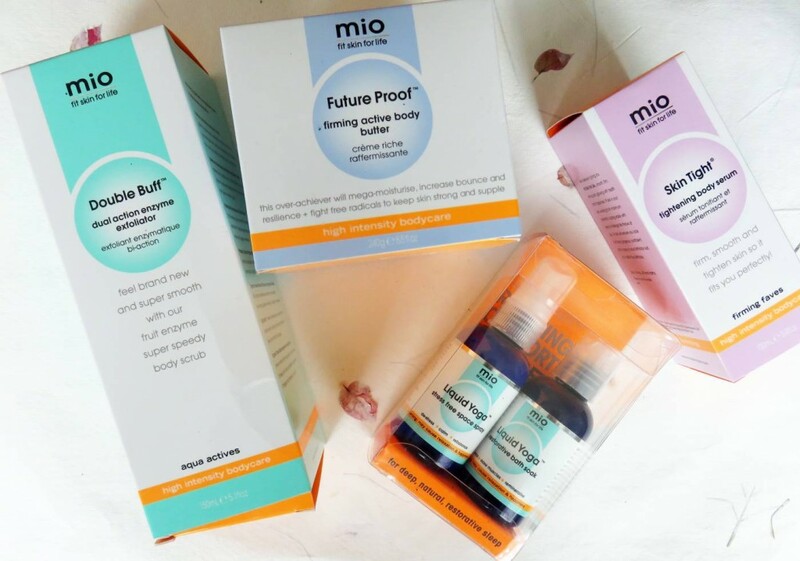 Mio Skincare has a simple moto: to give you fit skin for life. We work hard on getting our bodies fit, so our skin should reflect this too, right? Mio Skin Tight Tightening Body Serum £35: A lightweight serum aimed to smooth, re-texturise and tighten the skin to improve the appearance of crepey, overstretched tummies and other body parts. I’ve been using this more predominately on the backs of my legs and upper arms to help tones as much as possible whilst I’m not working out as much. Skin does feel a lot more supported after regularly applying the serum, and it contains an element of exfoliation too which helps the skin feel smooth and look brighter. The tightening feel that comes after a few applications kind of mentally encourages me to want to work out more too so that the pair work together. The serum contains a blend of exfoliating Papaya Enzymes, hydrating Hyaluronic Acid, brightening Vitamin C, antioxidants Pomegranate and Green Tea plus unique firming Oat Protein Complex that helps fight off future wrinkles. Looking forward to continuing to use this! Mio Double Buff Dual Action Enzyme Exfoliator £23: This exfoliator certainly does what it says it does – effectively sloughing away at the dead skin to reveal smoother, refined, brighter and hydrated skin. It’s a pleasure to use in the shower, not too harsh on the skin, but you can feel it working it’s magic. I find it’s super on areas like my knees, elbows and feet, which often look dull and rough. Smells fruity, leaves skin looking bright, and results in a silky smooth touch – that’s basically it in a nutshell! 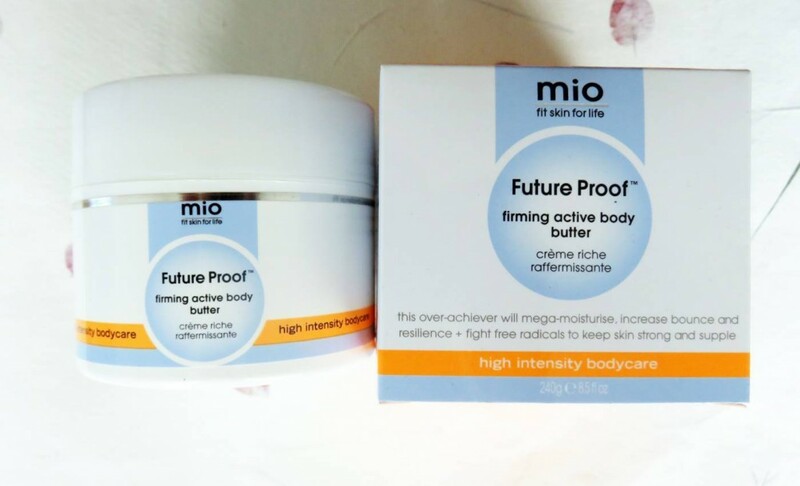 Mio Future Proof Firming Active Body Butter£35: This firming body butter is meant to improve the skin to keep it feeling much stronger. I’m not sure it is strengthening my skin just yet, however I have only been using this a couple of weeks, but I’m definitely enjoying using it for it’s luxury soft feel. It’s texture is ultra rich and creamy, making it a joy to rub into my skin. It’s thick texture makes it so nice to massage into skin – I can feel the hystration and the moisturising elements straight from the first application. 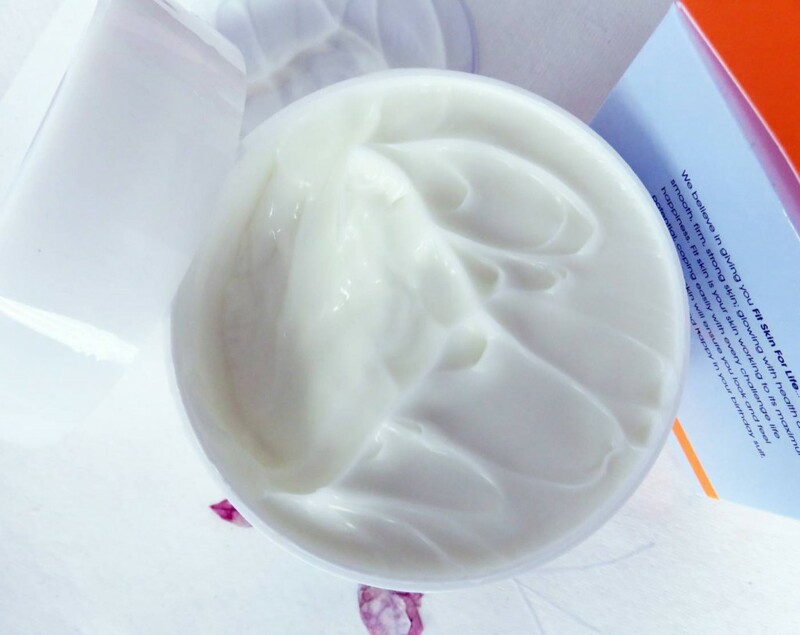 I would say this is the crem de la crem of firming body butters, so if you know someone who appreciates them and relies on one, this is one to point them too. It combines sweet almond oil, argan kernel oil, blueberry, coconut oil and shea butter to name a few, which are all heroes at conditioning the skin. 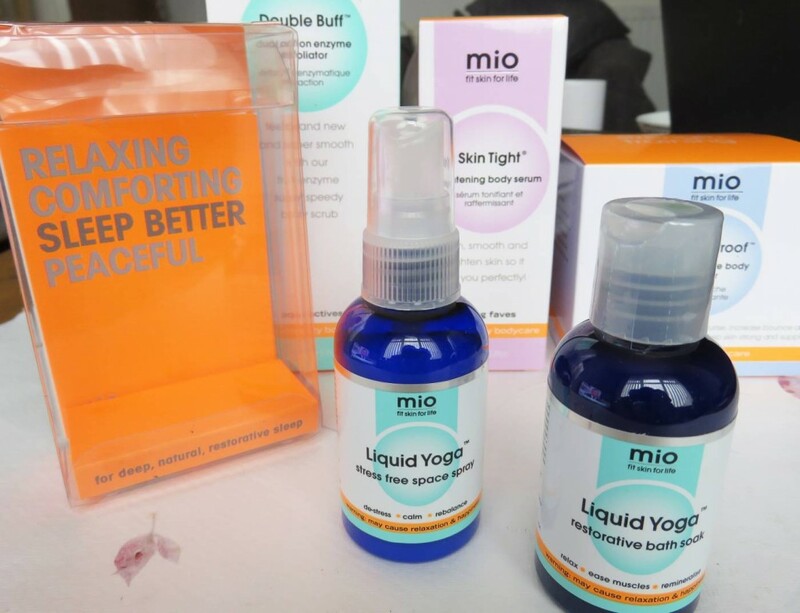 Mio Liquid Yoga Sleep Better Kit £17.50: If a lack of sleep is something you are suffering, or you just generally need to pay more attention to your bedtime routine, then this set is created for you. 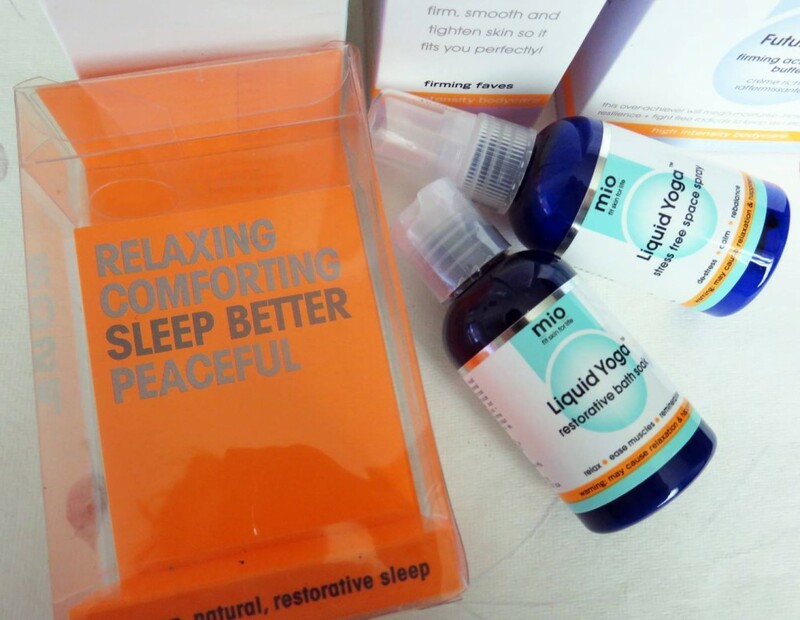 Featuring two Mio miracles that will help calm your body and your mind, with tips to help you wind down naturally, the Sleep Better set aims to bring you peace and happiness for a great night’s sleep. Contains Liquid Yoga restorative bath soak 53 ml (1.8 fl oz) and Liquid Yoga stress-free space spray 53ml (1.8 fl oz). I personally love the instant stress-free space spray, which I have been spritzing lightly onto my pillow and duvet (or just into the air around my bed) to provide incredible emotional benefits. It’s like zen in a spray! Lavender, lemon and Chamomile work together to create the scent of a peaceful, relaxing space, allowing my mind to drift off. I’m usually fairly tired by the time I go to sleep, so I’m reaping the relaxing and calming benefits more, but I’d be interested to see how people who suffer with sleep react to this. 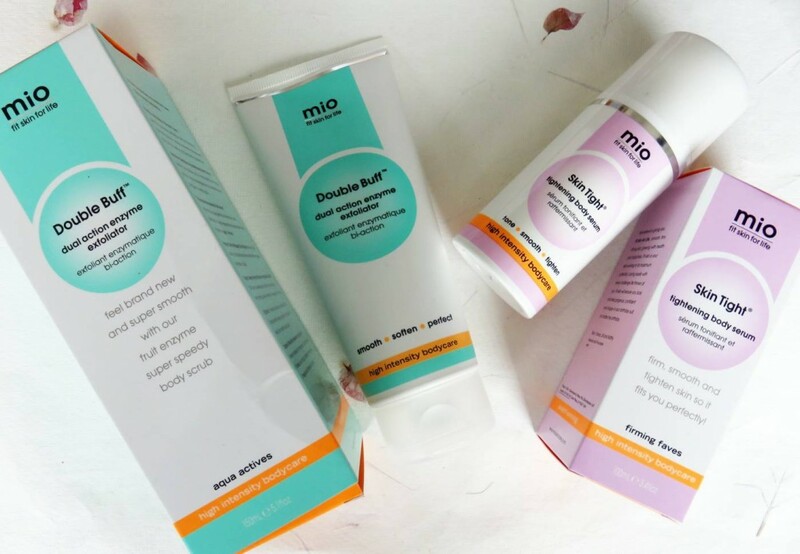 You can explore the range of products over at the Mio Skincare website here. If you are struggling for any gifts for people who are passionate about working out and skincare/health, it could be a unique alternative to the usual beauty products you buy them. So far, I’m definitely a fan.